In the products and in the everyday life of NTI AG, these values are inseparable. development, production and distribution of linear direct drives for use in industrial environments. Founded in 1993 as an independent business unit of the Sulzer Group, NTI AG has been in operation since 2000 as an independent company. NTI AG headquarters are located in Spreitenbach, near Zurich in Switzerland. In addition to three production sites in Switzerland and Slovakia, NTI AG maintains a sales and support office LinMot® USA Inc. to cover the Americas. The brands LinMot® for industrial linear motors and MagSpring® for magnetic springs are offered to customers worldwide. NTI AG maintains an experienced customer consultant sales and support network of over 80 locations worldwide. For the realization of linear motion NTI AG is always a competent and reliable partner. standard machine design element. We offer highly efficient drive solutions that make a major contribution to the overall resource conservation effort. screwdriving processes to be implemented easily. 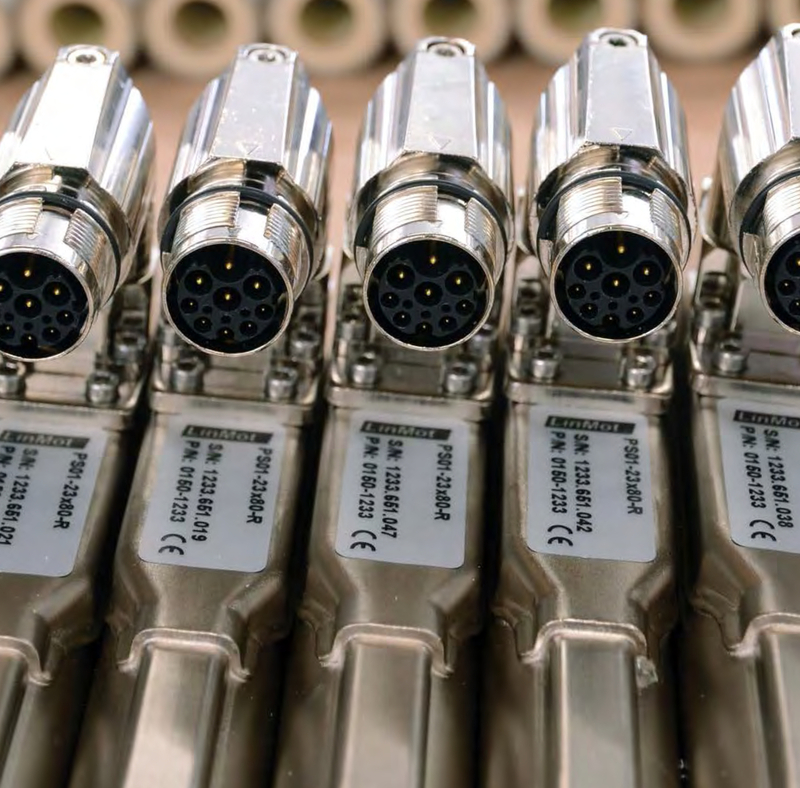 Especially when more than two positions are required, when positions need to be changed by software, when motions are synchronized to a main drive, or when the dynamics and service life of a pneumatic cylinder are simply not sufficient, designers gladly turn to linear direct drives from LinMot. calculated when the project is laid out, and can be adopted directly during commissioning. Unlike pneumatic cylinders, where only the end positions are checked, the position of a linear motor is constantly controlled and monitored. This leads to much greater process stability, because very small deviations can be detected when needed. 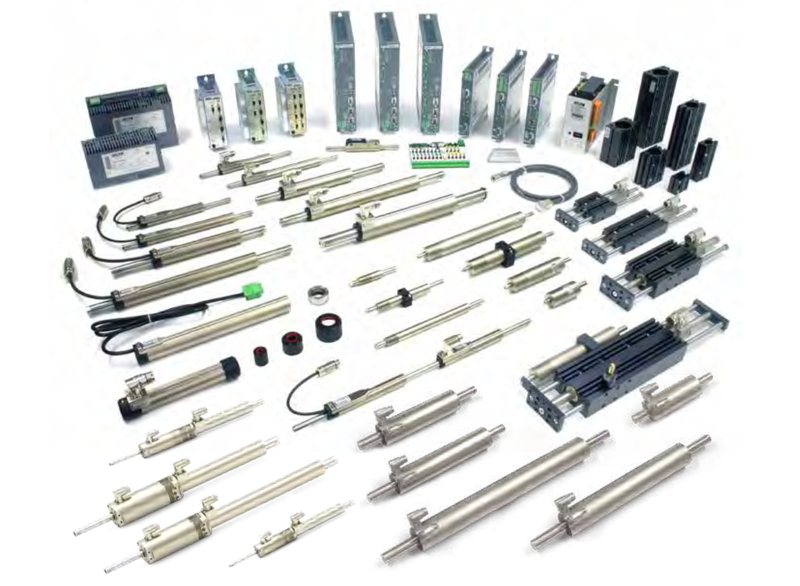 Due to high operating costs for pneumatics, the use of industrial linear motors pays off to an increasing degree, even for simple point-to-point motions with only two end positions. This is especially true when motions are performed regularly in cyclical operations, and pneumatic cylinders need to be oversized due to speed and load conditions. In this case, the energy and maintenance costs exceed the investment costs within a few weeks (see example, right). 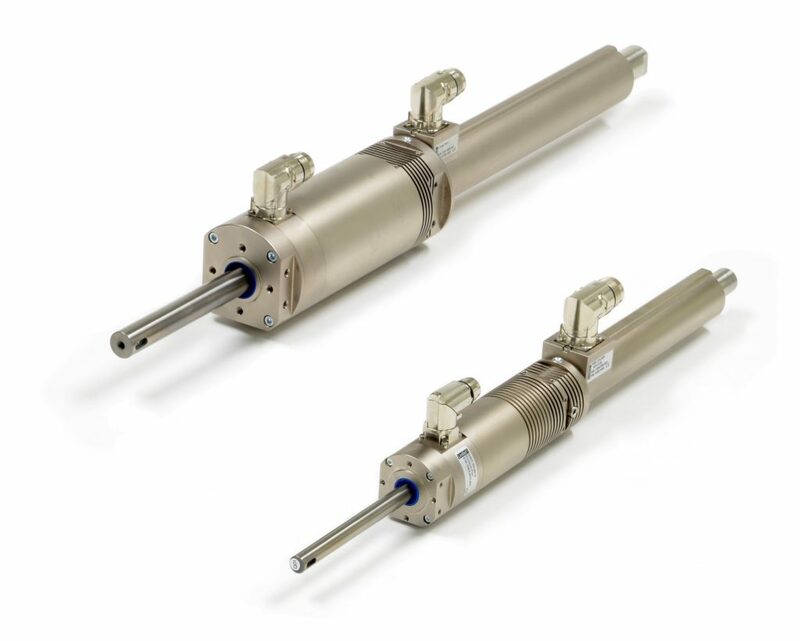 Industrial linear motors have a cylindrical form factor and similar dimensions to pneumatic cylinders. For this reason, they are commonly used as replacements for pneumatic actuators in existing and new designs. Accelerations to 400 m/s2 and forces to 585N (1200N model coming) with outstanding user-friendly programmability, accuracy and inter-connectivity. LinMot® linear motors employ a direct electromagnetic principle. Electromagnetic force provides direct linear movement without the use of cams, gears, belts, or other mechanical devices. The motor consists of only two parts; the slider and the stator. The slider is a precision assembly that consists of a stainless steel tube, which is filled with neodymium magnets, that has threaded attachment holes on each end. The stator, consisting of coils, the bearing for the slider, position sensors and a microprocessor board, is designed for use in harsh industrial environments. mounting options are compatible with pneumatic linear guides. The modular design allows simple addition of accessories, such as a mechanical brake or magnetic spring, for load balancing in vertical applications. MagSpring products can best be described as “magnetic springs”. The term “spring”, however, is to be understood to mean that MagSpring components generate a constant force over their entire working range, while the characteristic curve for a typical mechanical spring shows an increase in force with increasing displacement. The generation of force that is independent of the stroke makes MagSpring preferable for balancing weight forces in vertical drive applications. 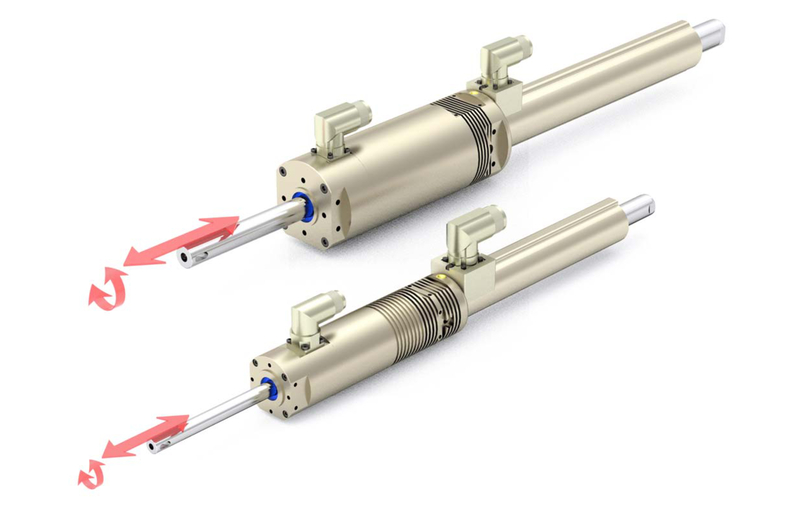 These are dynamic miniature direct linear drives in tubular ironless construction! The very compact size is suitable for applications with lac of space. Linear modules are ready to use linear guides with integrated linear motors. Build with precise ball sliders and rails, high force and torque loads are available. Maximum speed and acceleration refer to the linear motor data. A wide variety of motion controllers offer the choice for best fitting to the application. Fieldbus devices with Profibus-DP, CANOpen, DeviceNet, RS232, RS485 and Ethernet are available.